The four cities on the Palos Verdes Peninsula are once again teaming up in an effort to educate residents and the broader community on emergency preparedness at the 4th Annual Prepared Peninsula Expo Sunday, October 27 from 12:00 p.m. – 3:00 p.m. at the Harlyne J. Norris Pavilion, 501 Indian Peak Road, Rolling Hills Estates, CA 90274. This Free event will teach you how to protect yourselves, your family and your pets in a disaster. This information-filled Expo will provide a free lunch (while supplies last) and feature dozens of exhibitors, demonstrations and equipment displays. Children, remember to wear your Halloween Costume and go “trick-or-treating” at the exhibitor booths! 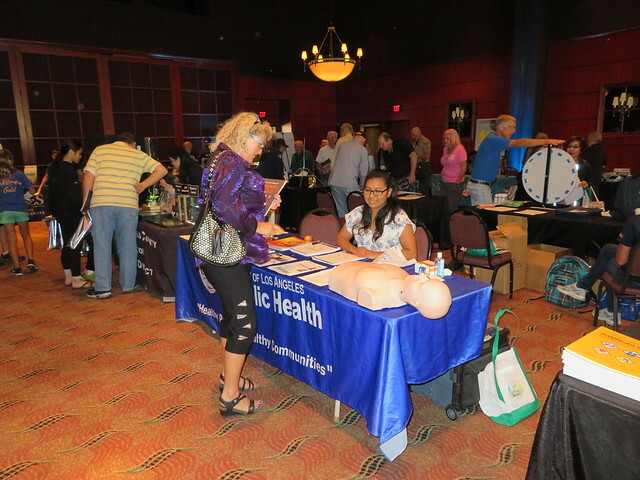 Exhibitors include local organizations giving tips and tools and retail vendors selling preparedness goods, like extended life water, emergency bags as well as Meals-Ready-to-Eat (MREs) and much more. There will be brief presentations available during the Expo on safety and preparedness tips. Exhibits from California Office of Emergency Services (CalOES), the Los Angeles County Fire Department, and Law Enforcement vehicles will provide for an informative and family-friendly time. This Expo is a local resource to the Palos Verdes Peninsula and is supported by the Cities of Palos Verdes Estates, Rancho Palos Verdes, Rolling Hills, Rolling Hills Estates, the Palos Verdes Peninsula Unified School District, as well as many other partnering agencies.